To help you find the car finance deal best suited to you, we’ve put together this car finance jargon buster. It contains some of the more confusing words and phrases you might come across, to help keep car finance as simple as possible. Need an extra explanation? Let us know on social @AutoTrader and we’ll add it to this page so you can shop for car finance deals in full confidence. Also known as an acceptance fee, an administration fee is normally charged at the start of the finance agreement. You’ll pay the administration fee to lenders to cover their admin costs, like setting up finance, registering the deal on the system and issuing or digitizing the relevant documentation. Administration fees are common on both PCP and PCH deals. The agreement term is the fixed length of time you’ve agreed to repay the finance in. The average length of an agreement term is three years, though you may be able to negotiate the length of your agreement term. Your annual mileage limit is the number of miles you can drive each year without incurring any excess mileage charges. If your finance agreement has an annual mileage limit, you’ll have to estimate your annual mileage in your initial agreement. The Annual Percentage Rate (APR) is another name for the interest rate. APR takes into account interest charges and other fees you must pay to as part of your finance agreement. Arrears is the name for overdue money that’s owed and should have been paid back earlier. If you’ve missed a payment, you’ll be in arrears. 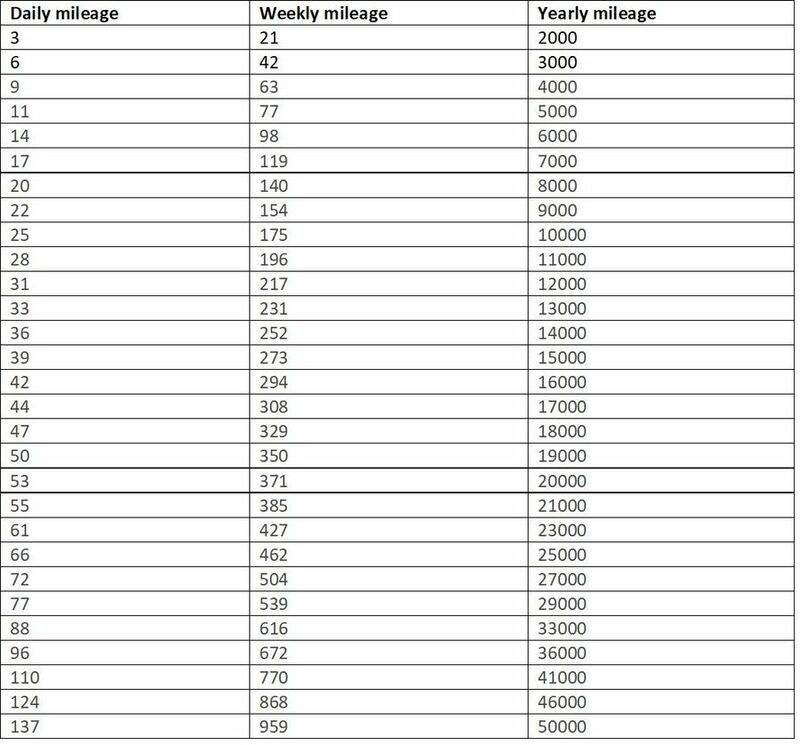 Use the approximate figures in the below table to estimate your annual mileage. Estimated annual mileage is important for personal contract purchase (PCP) deals. A car’s value depreciates the more use it gets, so PCP dealers will use the estimated annual mileage to work out the car’s likely value at the end of the agreement. A balloon payment is the final, larger payment due at the end of a Lease Purchase or PCP agreement. The payment must be made for you to take ownership of the car. This final figure will be calculated and confirmed at the start of your agreement. Balloon payments allow you to reduce your monthly payments in exchange for a larger payment at the end of the loan’s term. Consumer Credit Directive (CCD) is an EU directive that helps ensure transparency and customer protection when buying on credit. The CCD was made into law in 2010 and broadly applies to all consumer credit agreements between €200 and €75,000. As part of the Consumer Credit Directive, you have a period of 14 days to reject and withdraw from a finance agreement/cancel a contract without facing a penalty. The cooling-off period starts the day after you agree to go ahead with a deal or service over the phone, online or on your doorstep and lasts for 14 calendar days. The credit agreement is a legal contract you enter into when you take finance out. The credit agreement document will cover, in detail, the amount of money you’re being lent and what you’ll pay back over a set period of time. Your credit history is a record of your ability to repay debts and a demonstration of your responsibility in repaying previous debts. Your credit history will be based on several sources, including banks, credit card companies, collection agencies and government bodies. Your credit history will be available in a credit report. Your credit rating, or credit score, is a number that illustrates how likely it is that you’ll pay your credit back and fulfil your financial commitments. Your credit rating is based on your credit history and can influence your chances of getting loans, credit cards and mortgages. Lenders use information in your credit file to decide which rates they’ll offer you and whether you’ll be able to repay them. They’ll do this through a credit search. The customer deposit is the initial down-payment you make at the start of the finance agreement. Generally, a larger deposit will result in lower monthly payments. This can improve your chances of being accepted for a finance deal. A deposit contribution is a sum offered by the manufacturer or dealer that can be put towards your financial agreement. It’s usually in the region of £1,500 to £2,500 depending on the offer and the car you’re getting. An early settlement, also known as an early repayment, is when you end your finance agreement early by paying off the rest of what you owe. To do this, you’ll have to ask the finance provider for a settlement figure, which may include an early repayment charge. Once you have paid all debts on your car, it will become an asset you own and known as equity. You can have positive equity or negative equity. Negative equity is when the car is worth less than the amount still owed. For example, the car is worth £10,000 but your settlement figure is £12,000 – this would give you a negative equity of £2,000. The Financial Conduct Authority (FCA) is an independent body responsible for regulating financial services in the UK. They are independent of the UK Government and exist to help consumers get a fair and honest deal. A finance agreement covers the terms of your finance contract. Monthly payments and cancellation terms are typically included in a finance agreement, alongside information on what will happen once the finance has been repaid and the contract has ended. Fixed-rate interest means that your interest payments remain unchanged throughout your finance agreement. You’ll pay the same amount of interest every month. Generally, fixed interest rates are slightly higher than variable interest rate loans. However, there’s no risk of the interest rates rising and becoming too high for you to pay back. Guaranteed Asset Protection (GAP) insurance covers the difference between the original value of your car and the amount an insurance company would give you when written-off or stolen. GAP insurance can be seen as cover against depreciation, as your insurer will only pay out what the car is worth at the time it’s written-off or stolen. GAP insurance can top this up to its original value. Guaranteed future value (GFV) is what the car will be worth at the end of your contract/finance term. As part of your agreement, the finance company will predict the car’s GFV based on estimated mileage, the length of your agreement and the make and model of the car. They will then guarantee your car’s minimum value once your contract has expired. This may also be known as the Guaranteed Minimum Future Vehicle (GMFV). A guarantor is a third party, usually a close relative like a parent, who agrees to pay your debts on your behalf if you can’t keep up with your repayments. Guarantors are usually required for younger people, those with minimal or no credit history, and specialist loans. Guarantee agreements are legally required to be in writing and the lender may be able to take legal action to recover unpaid debts from yourself or your guarantor. Hire Purchase (HP) is a finance deal that normally consists of a deposit followed by fixed monthly payments. Under hire purchase, you don’t own the car until you’ve fully repaid the debt. Learn more about Hire Purchase in our guide. A joint application is when two people apply for car finance together. Both applicants will have to follow the same process and use their personal details as part of the application. They’ll be jointly responsible for repaying the loan or finance agreement. In a part exchange, you trade in your car as a contribution to a new one. You’ll then pay the difference by taking out finance or transferring the cash. Part exchange saves you the hassle of having to sell your old car, as you essentially swap it for a new one. Learn more about part exchange. With Personal Contract Purchase (PCP), you’ll make monthly repayments after an initial deposit. You’ll only own the car if you choose to make a balloon payment at the end of the contract. You can learn more about PCP in our guide. A personal loan allows you to borrow money and pay it back in fixed amounts each month. With a personal loan, you might opt to borrow the full amount for the car and then pay the debt back. This means you’ll own the car from day one. A quotation search, or a soft search, is a type of credit search used by finance companies to assess whether you’re a risk or not. They’ll use it to decide how much they want to offer you. Quotation searches don’t affect your credit score. In the case of a car obtained on finance, residual value is what it will be worth once your loan, finance agreement or lease contract has ended. This has to be estimated at the beginning of the agreement, and will be taken into consideration when calculating your monthly payments. It’s therefore worth investigating the estimated residual value of the car you’re looking at. A secured loan is a loan in which you guarantee an asset (for example, the car) as collateral for the loan. If you fail to keep up with your payments, you risk losing your collateral (the car in this example).  Secured loans usually have lower rates than unsecured loans. If approved, the secured loan will become a secured debt owed to the creditor. Another name for the agreement term, this is the length of time you’ll be paying your finance agreement. This is the total amount you’ll repay the lender over the course of your finance agreement. It will include the loan itself, plus the total cost of credit, interest and fees. Transfer fees may be required to take full ownership of a vehicle at the end of hire purchase agreements. They’re normally in the region of £100 to £200 and are paid in addition to the initial deposit and monthly payments already made. Unsecured loans don’t require you to provide any form of collateral to get the money. As unsecured loans are often a higher risk for the lender, they tend to be loans for smaller amounts and at higher interest rates. A variable interest rate is one that the lender can vary,so the amount you pay in interest can also change. Variable rate interest tends to be lower than fixed rate interest, but it has the potential to spike – making your monthly payment much higher.